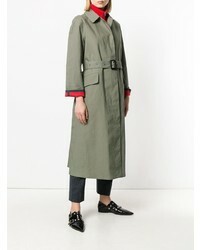 For a casual chic getup, go for an olive trenchcoat and a black lace midi dress — these two items work nicely together. Black leather pumps complement this ensemble very nicely. A Holland & Holland Classic Trench Coat and a black jumpsuit are absolute must-haves if you're planning an off-duty wardrobe that matches up to the highest fashion standards. Got bored with this outfit? Enter black suede pumps to change things up a bit. Contrary to what you might believe, looking stylish doesn't take that much work. 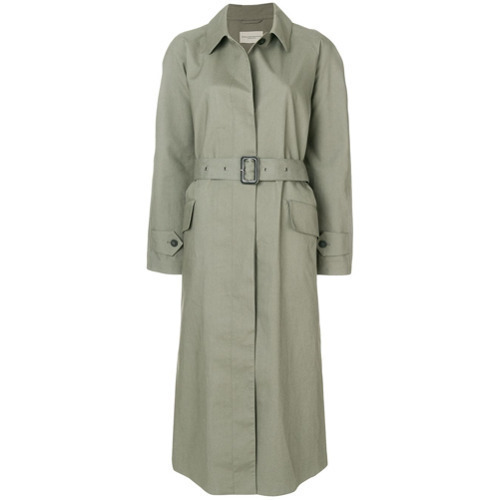 Just pair a Holland & Holland olive trenchcoat with white and black houndstooth dress pants and you'll look incredibly stylish. When it comes to footwear, this look is complemented nicely with black cutout leather ankle boots. This pairing of a Holland & Holland Classic Trench Coat and charcoal jeans is super easy to achieve and so comfortable to sport all day long as well! For something more on the daring side to round off this look, grab a pair of black leather flat sandals. 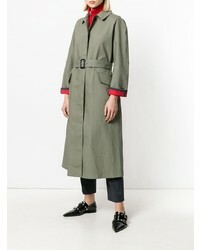 A Holland & Holland Classic Trench Coat from farfetch.com and a dark green plaid shirtdress are great staples that will integrate perfectly within your current looks. Black leather over the knee boots work wonderfully well here. 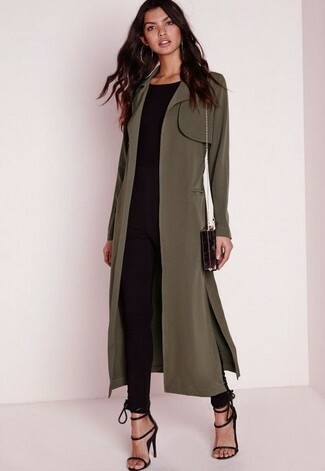 If you're searching for a casual yet stylish outfit, try teaming an olive trenchcoat with black leggings. Both of these items are very comfortable and will look great together. 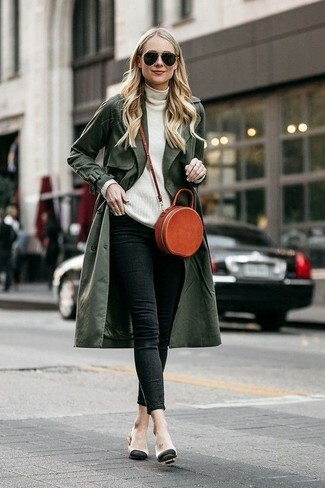 This combination of an olive trenchcoat and black skinny pants is very easy to make up in no time flat, helping you look awesome, chic and ready for anything without spending too much time rummaging through your closet. When it comes to shoes, this outfit is round off really well with black suede heeled sandals. 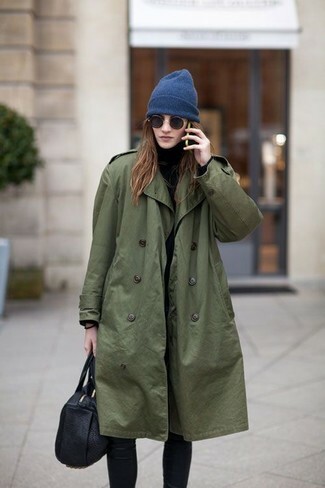 A Holland & Holland olive trenchcoat and dark brown leather leggings are absolute essentials if you're crafting a casual wardrobe that holds to the highest sartorial standards. You could perhaps get a little creative in the footwear department and dress up your ensemble with burgundy suede over the knee boots. 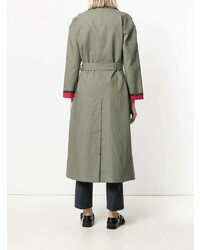 Dress in a Holland & Holland Classic Trench Coat and black skinny jeans to create a chic, glamorous look. Finish off with beige leather pumps and off you go looking smart.